Recently, one of my blog readers sent me a mail on how he can download and install the latest WhatsApp Apk for his blackberry. I searched and found the solution through search engine. He did just as i told him and it was installed successfully. Are you having such problem? You are at right place. When it comes to operating system on mobile phone, Android is considered as one of the best. If you are a BlackBerry user and wish to install Android application on your BlackBerry phone, then you can still do it by downloading them and moving to the BlackBerry phone. It is a fact that more than 70% of the people use Android all over the world and the reason behind the immense success of Android is most of the apps here are available for absolutely free or cost very less compare to the others. if you wish to install WhatsApp application of Android on BlackBerry phone, then you can do it without any trouble as this application is easily available on Google Play Store. Just make sure you download the latest version of the app. The best thing about it is you can download it for absolutely free. Therefore, if you wish to install it on the BlackBerry phone, then all you need to do is download WhatsApp messenger APK latest version from Google play store. After the download, move the file in your BlackBerry phone and tap on it to open the file. A window will appear that will ask you to install the application. Just follow the steps and WhatsApp for Android will be installed on your BlackBerry phone. Once the installation is done, you can search for the application as it will not be available with others, since it’s not a BlackBerry application. 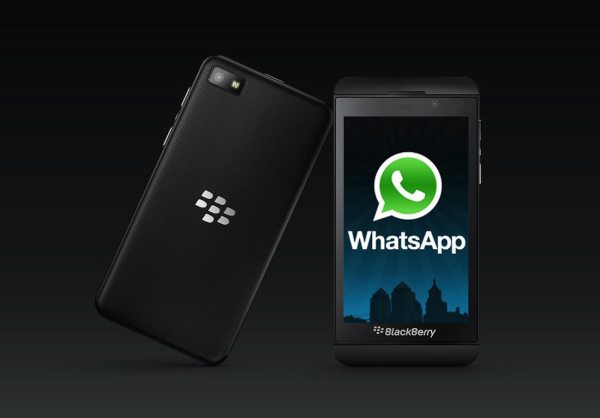 Now open the WhatsApp application and use it on your BlackBerry phone. With this, you have just installed a highly used Apk app on your Blackberry phone, which wouldn’t be possible in Blackberry. Note: WhatsApp Apk or any other Android app will run only in the latest version of BlackBerry as it is the only one that allows android applications to run in a BlackBerry phone. Related Posts: BlackBerry Tips., Whatsapp Tips. Labels: BlackBerry Tips., Whatsapp Tips.